Hill+Knowlton Strategies started and ended 2011 in dramatic fashion. Hill+Knowlton Strategies started and ended 2011 in dramatic fashion. The firm formally merged with WPP sister agency Public Strategies on January 1. 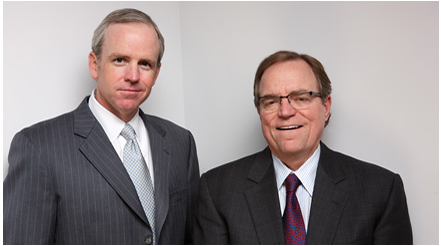 Public Strategies' founder and chairman Jack Martin became global executive chairman. President and CEO Dan Bartlett was named head of Hill+Knowlton US. In December, the agency rebranded from Hill & Knowlton to Hill+Knowlton Strategies to emphasize its position in strategic communications and increased investment in digital and research. The agency's 3% growth in global revenue in 2011 was tied to new clients and increased interest in the firm following its rebranding, according to Martin. Martin adds that the two most important constituencies are H+K's clients and people. Key hires last year included Andrew Bleeker, worldwide head of digital, and Josh Hendler, global chief technology officer. H+K isn't only paying greater attention to current clients, it's focusing on why companies decline to hire it after an RFP process. Last year saw the launch of a global sports marketing and sponsorship practice as clients around the world began to request the service that had been mostly based in the UK. H+K has worked with bid and organizing committees, governing bodies, federations, and commercial sponsors on every Olympic Games since 2000. Growth areas included the digital, energy, and reputation management practices. On the energy front, much of the work has been driven by the nuclear issues coming out of Japan following last spring's earthquake and a greater push in the US to use natural gas. Reputation work has risen due to the immediate and measurable impact a constantly connected public's opinion has on revenues, corporate valuation, brand, policy, and purchase decisions. Other areas of focus this year will include research capabilities via the recently established Research+Data Insights division, which was created due to the rising importance research plays in measuring and influencing public opinion. The firm found itself in a legal battle as 2012 began when Weber Shandwick was granted a temporary restraining order against H+K COO Ken Luce and EVP Jody Venturoni, both former Weber employees, for allegedly trying to lure former colleagues and clients to H+K.